Oh my God, it is a real shock! Can you see it too? - The numbers above. 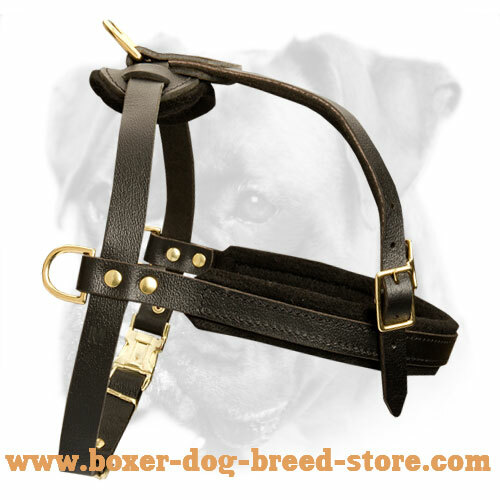 Yes, it is neither a joke nor some kind of a trick - only real price of this Royal Pulling and Tracking Leather Harness for Beloved Boxers. If you don’t believe this fortune or you want to spend much more money, you can close this page, but we imperatively ask you to read an article till the end. 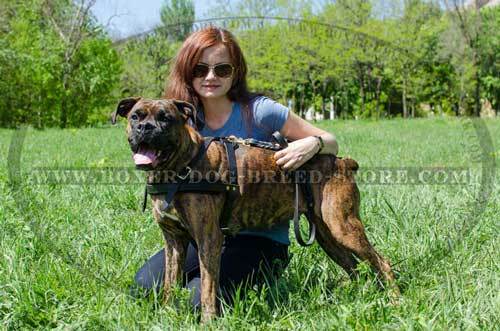 You will be surprised with its high quality and functionality for sure and it might happen that you would like to buy a pack of harnesses for dogs of your friends and neighbours. 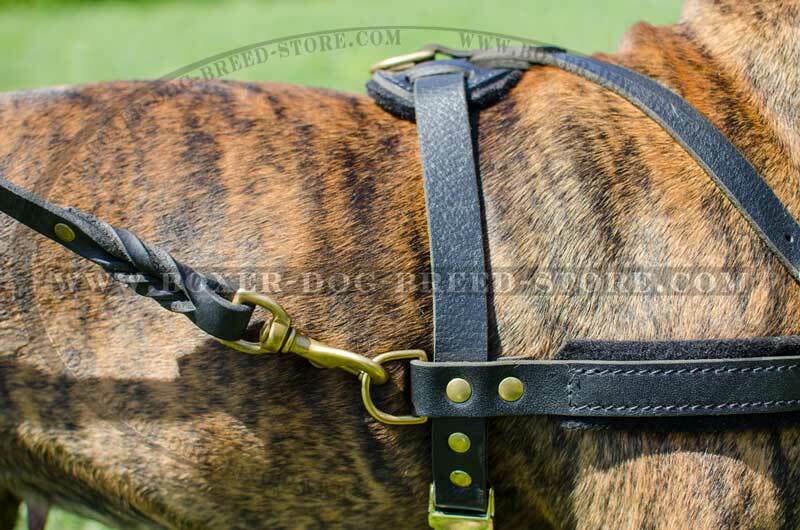 It is the finest piece of dog equipment for pulling work. When saying the word “pulling” we don’t want you to imagine your dog in the role of a horse dragging a heavy plough along, tired and exhausted. 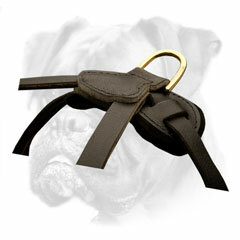 This harness was created for having much fun with all possible comfort. It is winter, you hear loud laughing and barking in the yard and snow crunching under the sledges - your children and your beloved dog are playing and enjoying time spent together. It is what you can really have if you buy this magnificent harness! Special D-rings on both sides of the harness, wide padded chest strap and super durable design are those high quality features that greatly facilitate pulling work for your dog. However, you should understand that this harness is not intended for pulling heavy cargo or other heavy stuff and it can even be rather harmful for your dog. Walking with comfort and style? Here you are! You love spending your time walking in the park, having a picnic with all your family or just walking the streets? 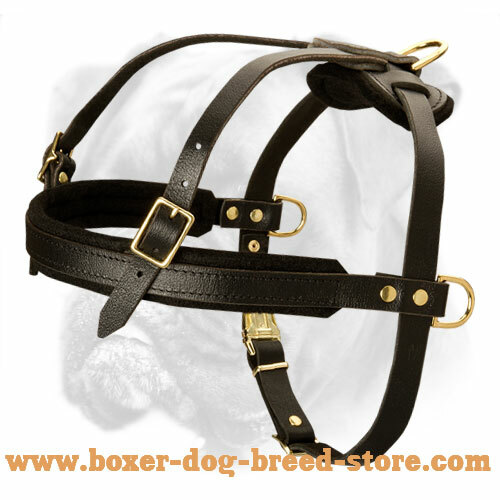 This wonderful harness is suitable for any occasion. 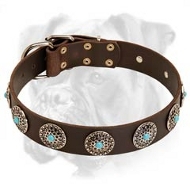 It is rather light weight and very much soft and air ventilated - a perfect quality as your dog won’t be overheated in warm weather. Saving the world or unraveling the mystery. Your kids like to imagine themselves treasure seekers or detectives? 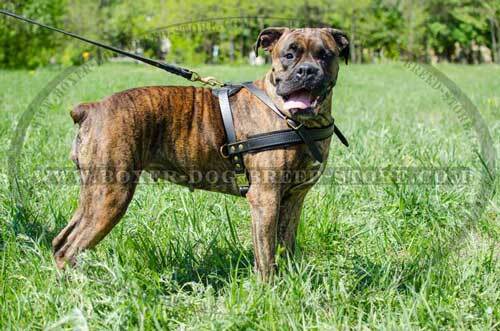 This harness is perfect for tracking work - they can search their gold or chase the criminals and your Boxer will be very much pleased to have a lot of attention and activity. Frankly speaking, this harness is really great tracking gear if you use it for about an hour. However, it can be heavy enough for long tracking work, like police or saving operations and it is better to buy a nylon harness for these purposes. the quality of your tracking harness is excellent! Jondy loves to track and she is a very high drive girl, your harness gives me the control i need without restricting her on a track. Now she can track in drive and still be comfortable.